One of the most notable and successful rock bands of all time, INXS has sold over 35 million albums worldwide with the group’s music remaining in constant radio rotation and in DJ sets nightly across the globe. To this day, the group’s multi-platinum landmark albums Listen Like Thieves, Kick, and X are all widely regarded as music collection staples. Huge chart-topping hit singles including “What You Need,” “Need You Tonight,” “Devil Inside,” “Never Tear Us Apart,” “New Sensation” and “Suicide Blonde” have been featured in numerous films, advertising campaigns and video games, earning the band countless accolades and awards around the world, including several Grammy nominations, and is the driving force behind selling over 15 million albums in the U.S. alone. With a career spanning three decades, INXS have created some of the most enduring music in rock. 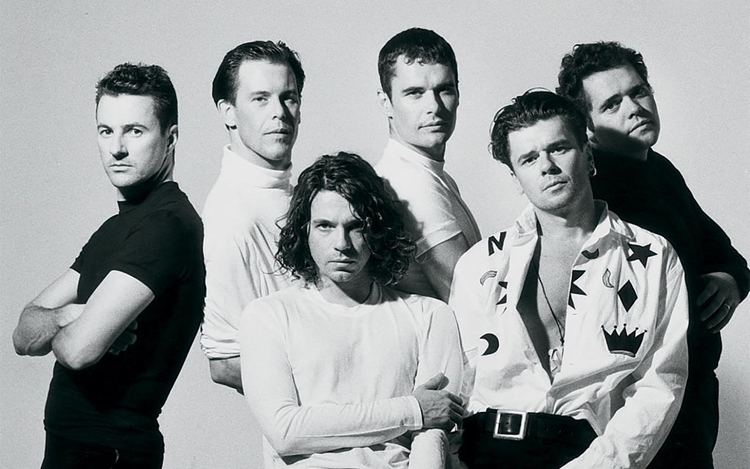 From their first gig as the Farriss Brothers in Sydney’s Northern beaches in August 1977, Michael Hutchence, Kirk Pengilly, Garry Gary Beers, Tim Farriss, Andrew Farriss and Jon Farriss quickly won Australian then international acclaim. 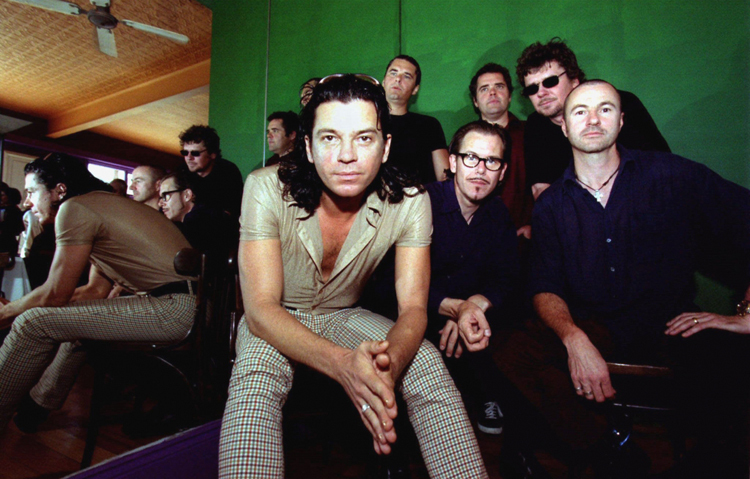 Determined, dedicated and sure-footed, INXS propelled themselves out of the frantic new wave, indie label environment of Sydney, Australia at the end of the ‘70s with such energy and resilience that in less than a decade, they were being hailed by music critics as one of the biggest bands in the world. The band performed before gauchos in Buenos Aires, Royals in Melbourne and teens in Tokyo, on their way to number one American singles, headlining before 75,000 people at Wembley Stadium – a show captured and released on DVD in the shape of Live Baby Live, playing to 100,000 people at Rock In Rio, seven MTV awards, three Grammy nominations, and albums which hit #1 all over the world. 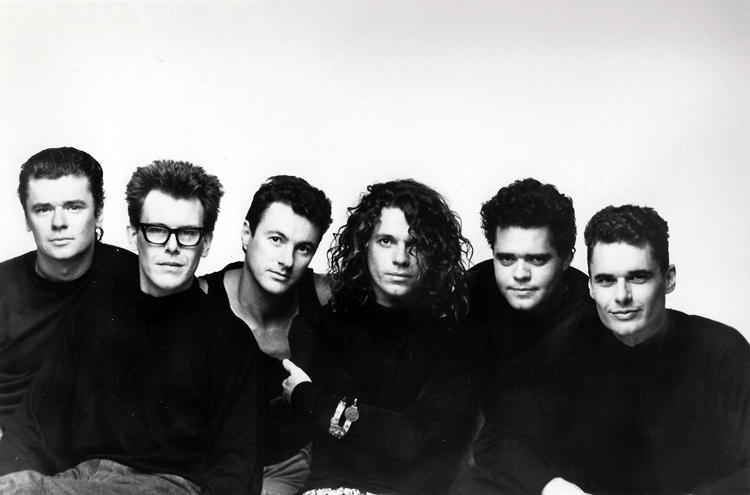 By the time they had charted their fourth hit down under, with “The One Thing” in 1982, INXS had made their way into the American Top Thirty with the same song – the first of 17 Billboard hits, seven of which were top tens. Britain came on line a little later, and their 23 hit run commenced with “What You Need” in 1986. There were six consecutive top ten UK and US albums. INXS celebrated their first number one single with “Original Sin” in December 1983 in Australia, beginning a phenomenal run of 38 Top 40 hits. 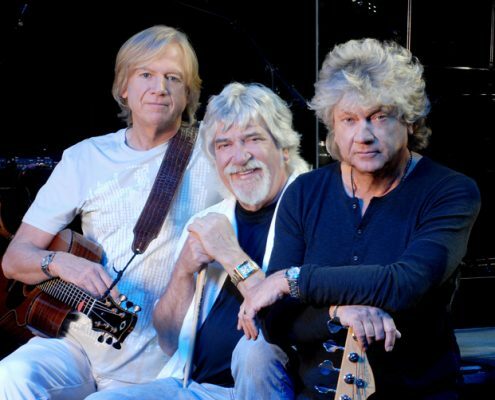 The Swing in April the following year was the band’s first Australian number one album (Listen Like Thieves 1985, Kick 1987, and X 1990 would all also hit #1). 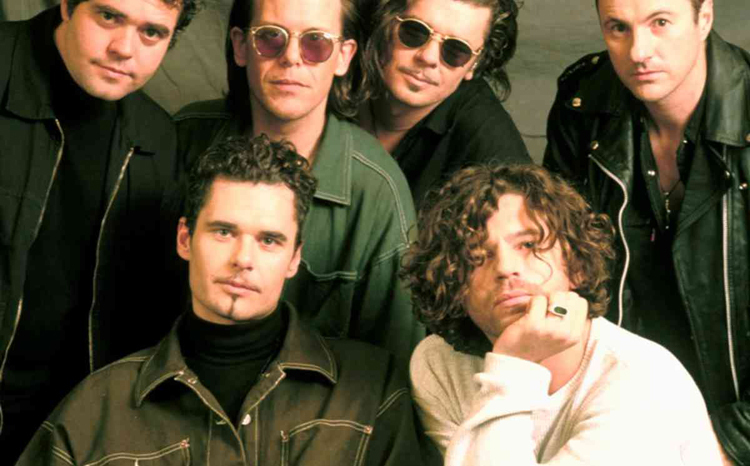 Following the departure of longtime manager Chris Murphy in 1995, the death of Michael Hutchence in 1997 had a profound impact on the five founding members of INXS, who had been close friends and collaborators for two decades. The future for the band was very much uncertain. 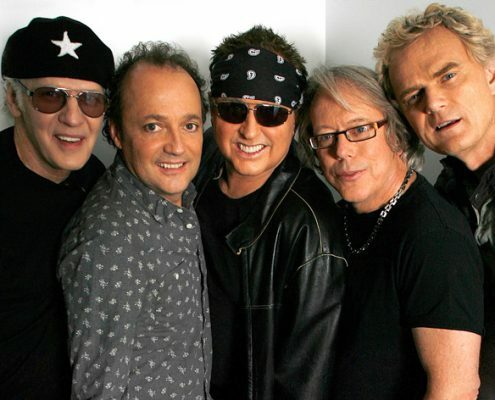 A year after, the band teamed up with vocalist Jimmy Barnes (with whom they had scored a top twenty UK hit in 1991 with “Good Times” from the film The Lost Boys) to reprise that collaboration at the 25th Birthday concert of Australia’s Mushroom Records in Melbourne, slaying the audience with the strength and good-natured tone of their performance. Six months later, with guest vocalist Terence Trent D’Arby, they returned to the concert stage, before 90,000 people and a vast television audience, to officially open Sydney’s Olympic Stadium with a blistering performance. “They rose to the occasion with a performance that defied critics who would have them simply disappear,” said one review. “A triumphant return to the performance arena” said another. 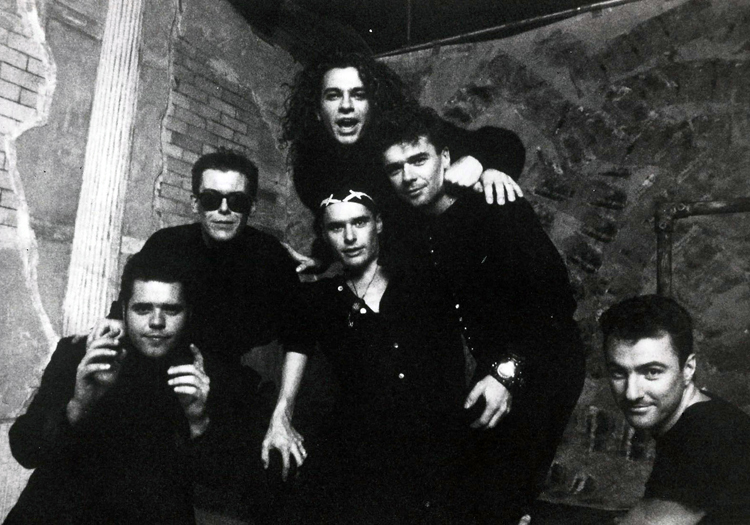 Although the five musicians had involved themselves in a wide array of songwriting, production and playing projects, the desire to return to full performance as INXS could not be denied. 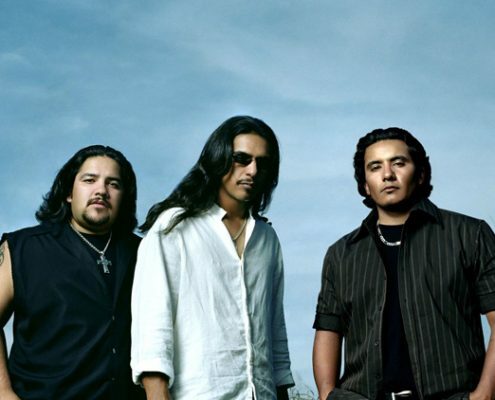 A concert in May 2000 was the first with Jon Stevens on vocals, and the band saw loyal fans scrambling for tickets. It was received so warmly by public and media alike that in 2001,the band headed out on a 13-date, Just For Kicks tour of Northern Australia. The Life Ball in Vienna in June became INXS’ first performance outside Australia in three years. By August, the band was back in Europe for five more shows (Germany, Poland, Romania, Ireland). In September, they played before 90,000 people in the Melbourne Cricket Ground at the nation’s premier sporting event, the Australian Football Grand Final. What had begun as a tentative venture into the possibility of life after a shattering death had taken on a momentum very much of it’s own. 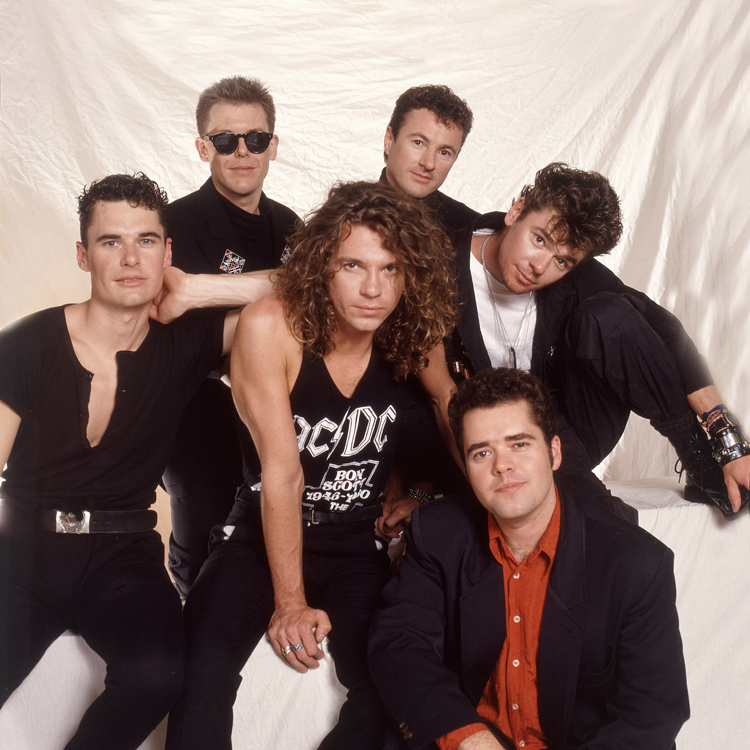 In 2001, INXS received the ultimate accolade from the Australian music industry when band members were inducted into the ARIA (Australian Record Industry Association) Hall Of Fame. Band members received a lengthy standing ovation from the 3000-strong audience. Just a year into the new century it was obvious that the unmistakable INXS sound was finding a whole new audience. The UK DMG Dance chart saw “Precious Heart” by Tall Paul & INXS (with sampling from “Never Tear Us Apart”) rise to number one. Around the same time the Italian-originated European sampling hit, “I’m So Crazy” by Par-T-One used INXS’ debut Australian hit “Just Keep Walking” as its bed. Australia’s remix masters Rogue Traders had a top ten hit with a remix of “Need You Tonight” renamed as “One Of My Kind,” and UK artist, Professor Green gate-crashed the charts with his sampling of “Need You Tonight” topping at #3 in the UK. An essential part of the process of the bands’ re-evaluation has been the preparation of retrospective projects. In 2001, the band involved themselves in the creation of the North American double disc set Shine Like It Does (1979 – 1997). The following year, anthology packages were released worldwide to celebrate the band’s 25th year together. Definitive INXS, carefully and specifically prepared for the British/European market, featured 15 UK chart hits, two Australian/US hits from the band’s emergent years (“Just Keep Walking” and “Original Sin”), a cover of Steppenwolf’s “Born To Be Wild” from a film soundtrack, and two previously unreleased tracks from the INXS vaults (“Salvation Jane” and “Tight”). 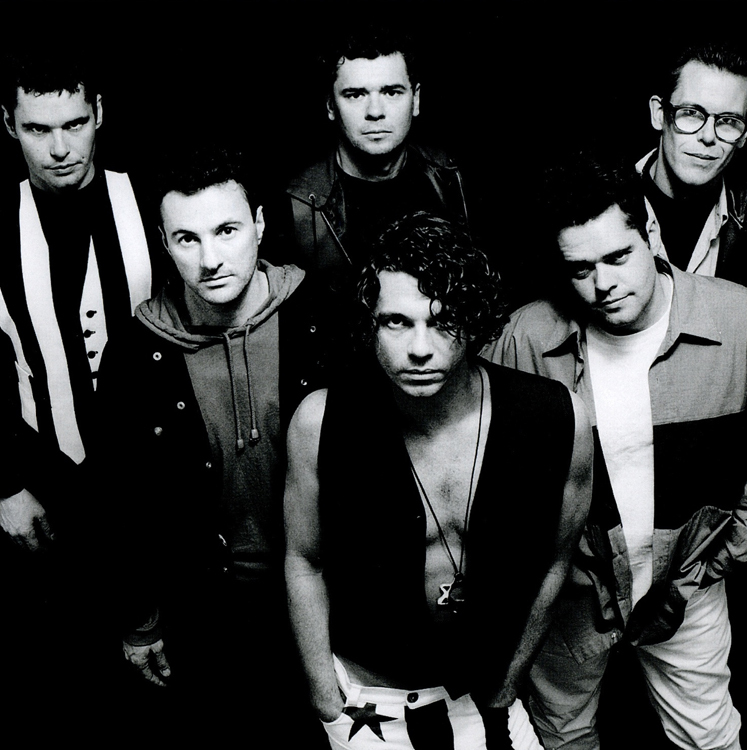 Playing live again in the worldwide arena was an important step for the future of INXS. By the middle of 2002, the inevitable return of INXS to the international concert arena saw the band depart for South, Central and North America on a full-scale tour reminiscent of their legendary ’80s jaunts around the planet with two brand new songs featured in the set. The response was overwhelming, with the band re-igniting the love affair that had once existed with fans and media. In 2005, INXS announced their plans to launch a global search for their new singer using an “unscripted drama” TV series – Rock Star: INXS (in conjunction with Mark Burnett Productions). Kirk and Tim travelled the world to all the auditions for Rock Star: INXS, hand-picking about 100 singers out of thousands that were then whittled down to the 15 that ended up on the show. 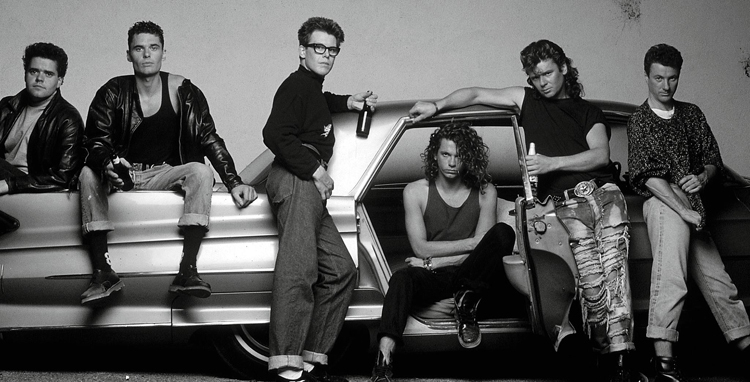 INXS chose JD Fortune, a charismatic Canadian performer with “all the goods.” The day after the shows finale, they went straight into Westlake Studios in LA and recorded possibly INXS’ most diverse album to date, Switch. 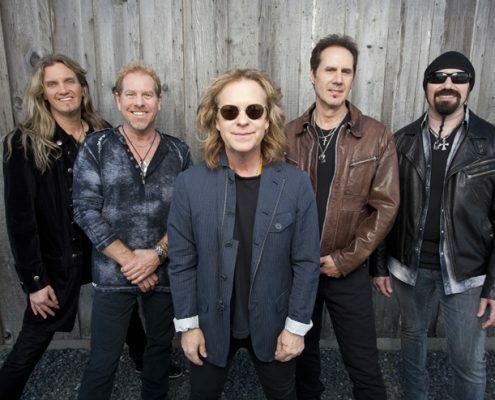 The album was recorded and delivered to the record company in less than five weeks, then embarked on nearly two years of non-stop sell-out shows across the planet. It was then time for INXS to take a well-earned break. INXS have enjoyed renewed worldwide critical acclaim following the release of their latest studio album Original Sin in 2011. Hailed as a “rewarding collision of nostalgia and modernism” and a “cleverly and lovingly assembled collection,” Original Sin teamed the band with musicians from around the globe, from superstars like Ben Harper, Pat Monahan, Tricky, and Nikka Costa, to Deborah de Corral, Mylene Farmer, Kav Temperley, JD Fortune, Dan Sultan, Loane, DJ Yaleidys and Tricky [Massive Attack] to reinterpret and revitalize their own classics for a whole new generation. The album’s first single, “Original Sin” featuring Rob Thomas and DJ Yaleidys, officially topped the Billboard Dance Club Play chart earlier this summer, knocking Britney Spears off the top spot, and marked the band’s first ever number one Billboard dance single with the original version of “Original Sin” peaking at #17 on the chart in 1984. In Australia, the album hit number two twice on the iTunes albums chart. Ben Harper and Mylene Farmer’s version of “Never Tear Us Apart” debuted at number four on the French iTunes charts, and “Mediate” featuring Tricky [Massive Attack] jumped to number five on the U.S. Dance Charts. 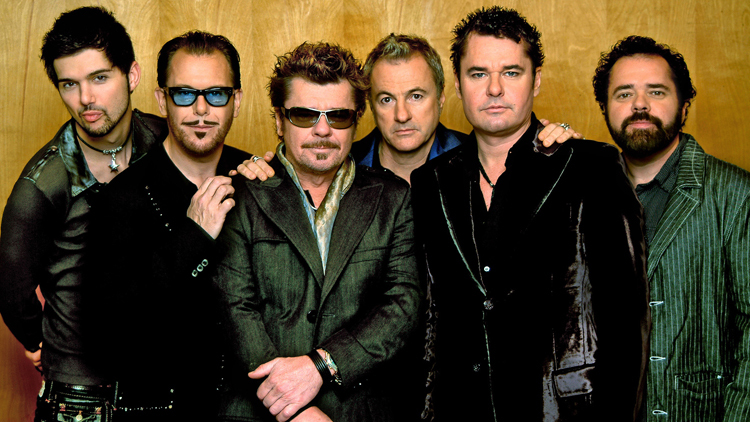 On September 26, 2011, INXS announced singer/songwriter Ciaran Gribbin as the band’s new front man and have recently unveiled the first new demo recording with Gribbin, titled “Tiny Summer.” The band will continue to write and record a slate of new songs with Gribbin for a future new studio album release. INXS and Gribbin will be performing live for the first time together during a run of upcoming shows in South America, Australia, and Europe throughout November and December 2011. Hailing from Belfast, Ireland, Ciaran Gribbin is a Grammy nominated singer/songwriter who has worked with a range of artists including Snow Patrol, Groove Armada, Paul McCartney, Madonna & Paul Oakenfold, who received a 2010 Grammy nomination as a co-writer of Madonna’s worldwide hit “Celebration.” Gribbin, also a film composer, wrote, recorded and produced all the original music for the acclaimed international film Killing Bono, Ridley’s award-winning UK film Heartless, as well as contributing music to films Wild Target (starring Emily Blunt) and Love and Suicide (the first U.S. film shot entirely on location in Cuba).